It is indeed an honour on this special night to have Mrs Tanyanyiwa as our guest of honour. I warmly welcome her, and thank her for finding time, in her busy schedule to be with us. As well, it is my pleasure to welcome our Chairperson of the Goldridge College Committee, Mr Potsekayi and Mrs Potsekayi, all members of the board of governors present, the School Development Committee Chairperson, Mr Manyame, and all members of the School Development Committee, the Headmistress of the Primary School, Mrs Bera , The District Education Director and all District Education Inspectors, all Distinguished Invited Guests, Parents, Members of Staff, Friends of the College and all pupils. Thank you all for coming in large numbers for our Prize Giving and Speech Night. As another academic year races by, we are proud that so many things have been achieved so far, and it is impossible, to mention everything in detail. I will attempt to do justice, to some of the highlights of the many achievements and contributions, for this year. I do apologize to all people who have contributed to the remarkable year, whom I may fail to mention in my report. I will begin with academic results. At IGCSE that we commonly call ‘O’ level, our percentage pass rate improved from 72.3% in 2016, to 84.5% in 2017, for candidates who passed at least five subjects with C or better. Our best student was Blessing Muningwi, who scored 8 A* 2As and 1 B. 15 out of the 58 students, which translate to 26%, managed to score 5 or more As. At ‘A’ level, the college continues with the reputation of high academic achievement, and personal excellence. As has become a permanent feature, we achieved a 100% pass rate in 2017. Five students managed to score the maximum 15 points. Our best students were Panashe Makuhunga, who scored an A in Mathematics, A* in Physics and A* in Chemistry and Arnold Bunya, who scored an A in Mathematics, A* in Chemistry and A* in Biology. Special mention also to McElyween Madziwa, Tanaka Chigwada and Panashe Muzuva, for scoring 15 points, by getting 3 straight As. Eight of our students scored 14 points. We were impressed by the improvement in the quality of the passes, as 55% of the students scored 10 or more points. At the Cambridge Learner Awards, that were held at Meikles Hotel, in May to honour the best students in Zimbabwe, for the 2017 examination results; Thamsanqa Sigodo got an award for being the best IGCSE student in Zimbabwe for Commerce, while Rutendo Chibi was the best Accounting student in Zimbabwe, at AS level. It is interesting to note that on most of the occasions our output surpasses the input. 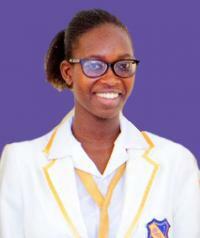 Take for example, a student that we accepted with an average of 38%, having achieved 33% in English, and 43% in Mathematics, in the grade 7 entrance exams, who went on to score 6 As at IGCSE, and later 15 points at A level Sciences. It is a clear demonstration of value addition at our college, for which we give credit to our dedicated teachers. This also gives us an important lesson, to never give up on a child. Albert Einstein said “ education is what remains, when you have forgotten everything you ever learnt at school.” This implies that most of the education, is a result of constant participation, in the various extra-curricular activities. This helps young people to develop essential qualities, needed to lead a quality life. Sports and educational trips, do help to develop team and leadership skills, which enable students to manage themselves. The trips organised to strategic and historical places, exposed students to new people and cultures. This resulted in the broadening of their thoughts and this is in tandem with the words of Oscar Holmes Jr, who said, and I quote “A mind that is stretched by new experience can never go back to its old dimensions”. We are also cognisant of the fact that, some children are not academically gifted, they have sporting and cultural gifts that we need to discover and develop. This year a number of our students had exceptional success in sport, at provincial and national level. I will give special mention to those who succeeded at a national level. In the Annual CHISZ Soccer Tournament, which was held at Kyle College, Blessing Kahoka made it into the CHISZ select team. 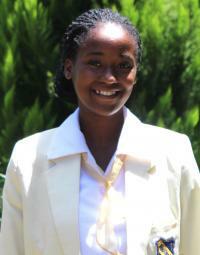 In Hockey, Blessed Maredza made it into the U19 Girls Hockey, National B team. While in Boys Hockey, Ashley Nyagumbo was chosen into the under 16 Boys Hockey, Zimbabwe National B team and Tadiwa Banda was chosen as a reserve player for the same age group. 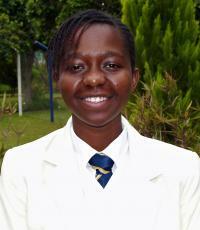 In Basketball, Rudo Marufu and Gillian Muza, were selected into the under 20 ATS Schools National Team. In Rugby, Reece Kloppers was selected as a reserve player for the National Under 14 Rugby Team, while Clinton Madende performed exceptionally well, and made it into the Zimbabwe Under 17 National Team. In the Allied Arts Music Competitions, the Goldridge College Jazz Band scooped an honours award. The group comprised of Joshua Morris, Tyrone Sayi, Blessing Sibanda and Tadiwa Zengeni. While at the National Allied Arts Speech and Drama Festival, Tafadzwa Chirenje was awarded honours for solo poetry, and Kudzwaishe Mishi and Tinotenda Makunde were awarded honours in the duo Poetry section. 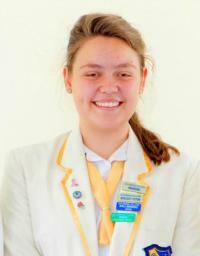 In the ATS schools, Interschools Juniour Debate Competitions for 2018, Tanatswa Mapholisa Moyo, came fifth out of one hundred and thirty one participants, and was awarded a medal for the terrific endeavour. Old Mutual runs the Mathematics Olympiad every year, where more than 3000 Mathematics students do take part. We are pleased and proud that for the second year running, two of our students made it into top 10 in Zimbabwe. These students are Tatenda Chachoka and Noel Makoni. They will attend the award ceremony in Harare on 19 October, at Wild Geese Motel. The Goldridge College students have a track record, in actively supporting those who are less fortunate than themselves, in the community. Throughout the year, different clubs and classes have offered support to children from various schools, and children’s homes in Kwekwe. We are currently making preparations to donate, items worth $5000, to the Kwekwe General Hospital Female Medical Ward. This money was raised through the civvies day donations from our pupils. We are proud of our students’ amazing achievements, in all areas of school life. The assistance offered by our teachers is greatly appreciated. Remember that great teachers give their souls for free. On infrastructural development, the construction of a school hall, which the chairman has already talked about in detail, is going on well, regardless of the harsh economic climate. The hall is going to be the heart of our school. It has a capacity to seat 1000 people, and it incorporates a big library, which has a section that will be computerised, back rooms, ablution facilities, a classroom, a functions room, a tuck-shop, a meeting room, an examination room and a kitchen. It is my hope that our next prize giving ceremony will be held at the new hall at the college. I therefore thank our board members for their support and commitment to such a huge project being done at the college. Special thanks to the supervising team for the project comprising of Mr Potsekayi as chairperson, Mr Rungano, a board member, Mrs Bera, Mrs Marufu, Mr Chimanikire, and yours truly, for putting many unpaid and largely unrecognised hours, in order to realize the dream. All achievements that I highlighted would not have been possible, without the outstanding efforts of our teachers, deputy headmistress, administration staff, hostel staff and all support staff. We thank you for your dependable and efficient service . We all need to appreciate them by giving them a round of applause. Special thanks to the SDC and all parents for your dedication to develop the college. The dedication of the School Development Committee members, has made a great difference to the college. I hope you do not get tired of some of us who consistently request for this and that. It is sad, that half of the members who have worked so hard to develop the college are no longer eligible for elections, at the end of the year, as they will no longer be having children at the college. However, as they leave the committee, we still hope for their support and assistance in our future events. Remember that once a parent always a parent. We trust that more parents will volunteer to be in the new committee. I also thank the primary school headmistress, Mrs Bera, for all the support given to the college by the primary school throughout the year. Baroda Trading and Gramsol Books who donated textbooks for some of our book prizes. Bidshore Trading who donated a laptop for the best IGCSE student for 2017. Tadiwa Murombe, our former student, who donated a shield for the best soccer player. Mr and Mrs Rupere who donated $50. Mr Fresh who donated five fruit hampers. Thank you all for your kindness. Let’s give them a round of applause. I now extend my gratitude, to the headboy, headgirl, their deputies and all student leaders for 2018, for serving your school. We wish you all the best as you move to the next stage of your educational journey. I therefore advise you to keep on counting your blessings. Remember, if you do not count your blessings, your blessings will not count. To all prize winners, we are delighted by your achievements. You are a true representation of everything that we stand for at Goldridge. Although time does not allow us to celebrate successes of all pupils, I believe that there are many pupils sitting down there, who are not receiving prizes today, who deserve to be applauded. I urge all students, not to forget that the most beautiful thing in this world, is to see your parents smiling, and knowing that you are the reason behind that smile. Finally, let me thank my wife and family most sincerely for the consistent support. It is now my great pleasure to introduce to you our guest of honour. Our guest of honour is Mrs Lydia Tanyanyiwa. She is the managing director of Minerva Risk Advisors. She brought extensive experience and knowledge to the Minerva Group of Companies, having been with Aon International since1991. She is from a Human Resources background, having trained in personnel management. She has managed businesses for Aon as CEO, and as Crisis Manager in Uganda, Botswana and Kenya, in addition to managing the integration of businesses that were acquired by Aon in the Sub Saharan region. Until she joined Minerva Risk Advisors in 2013, Mrs Tanyanyiwa, also sat on the boards of most of Aon’s operations, in the 12 countries in sub-Saharan Africa. Prior to joining Aon International, she had a career in financial services, management consultancy and the hospitality industry. Given her vast experience, she should be an inspiration to our students. I now invite our esteemed guest of honour to deliver her speech. God bless you. Thank you for listening.